Howrah is a city in the West Bengal state of India. Howrah RTO runs all its operations efficiently to ensure smooth flow of transport and traffic. It works as per the provisions of the motor vehicle act of 1988. 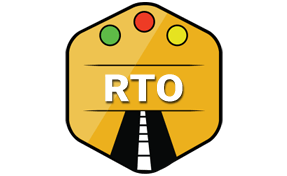 RTO of Howrah is headed by the transport commissioner. The objective to establish Howrah RTO is to conduct smooth traffic operations in the city. Database management of all the vehicles in Howrah. This makes the process of Howrah RTO very swift. Granting International driving license and permits as and when required. Implementation of motor vehicle act of 1988 for the betterment of transport. Framing appropriate policies for smooth operations of traffic. Granting permission to the commercial cargo and fleets. This can help them for the free flow across the city. Online information management of Howrah RTO and scheduling appointments of the users as per the available slots. Regular checking of vehicles to ensure possession of compulsory papers. Penalising people in the absence of these documents. Levying fine on the traffic law violators. Legal steps against the regular traffic offenders. Vehicle excise management for all modes of the transport. Managing the training sessions in the interest of maintaining the safety on the roads. Special permits to all the vehicles of the tourist or imported cars, bikes or any other mode of transport. Sanctioning regular road permits and managing its timely renewals. Handling the entire vehicle registration procedure, granting the registration copy (RC), making the changes as and when required. Regional Transport Officer (RTO), Howrah, West Bengal - 711101.